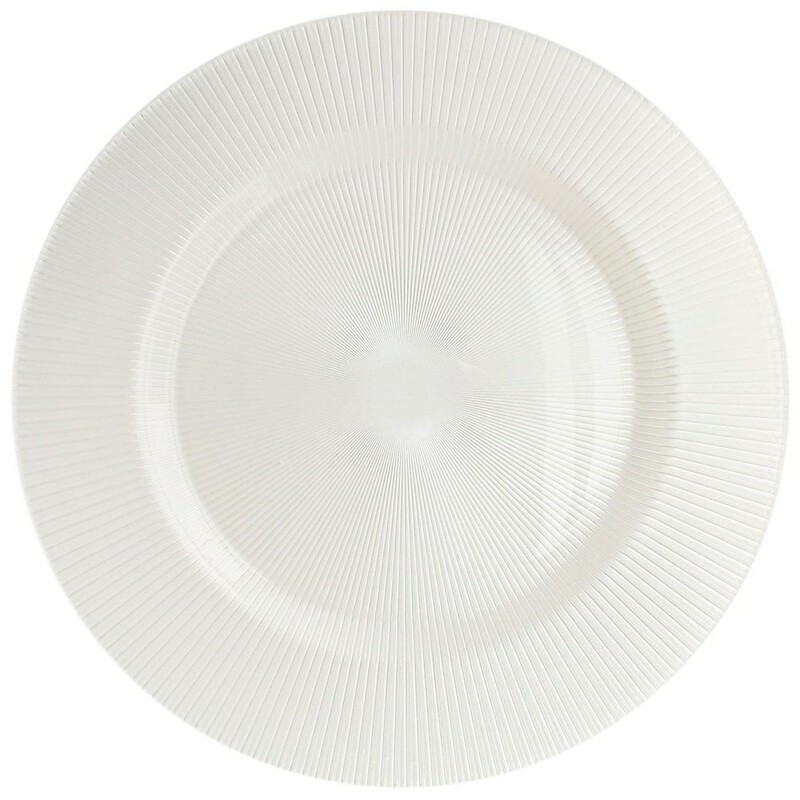 ChargeIt by Jay Sunray Pearl White Charger Plate 13"
Home > Products > ChargeIt by Jay Sunray Pearl White Charger Plate 13"
Add a touch of sophistication to any table with the ChargeIt by Jay Sunray Pearl White Charger Plate 13". Thanks to its beautiful pearl white color and subtle sunray patterned rim, this charger will pair perfectly with colorful dinnerware and table linens. This product is suitable for use in fine dining restaurants, at wedding receptions and in a variety of other upscale settings. An excellent addition to any food service establishment, this item boasts a high-quality glass construction which is durable and food safe. Designed for aesthetics as well as functionality, this charger plate not only provides an excellent backdrop for dinnerware, it also protects the table from spills and mess. To keep this charger plate in good condition, hand washing is recommended.